Nowadays, pilgrims arrive in Santiago de Compostela by cars and buses, but they used to visit this famous sacred site of Spain on foot from all across Europe. 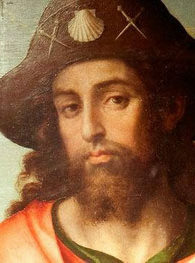 And a special dress was necessary for the pilgrimage, including the wide-brimmed hat protecting from rain and wind on the way. 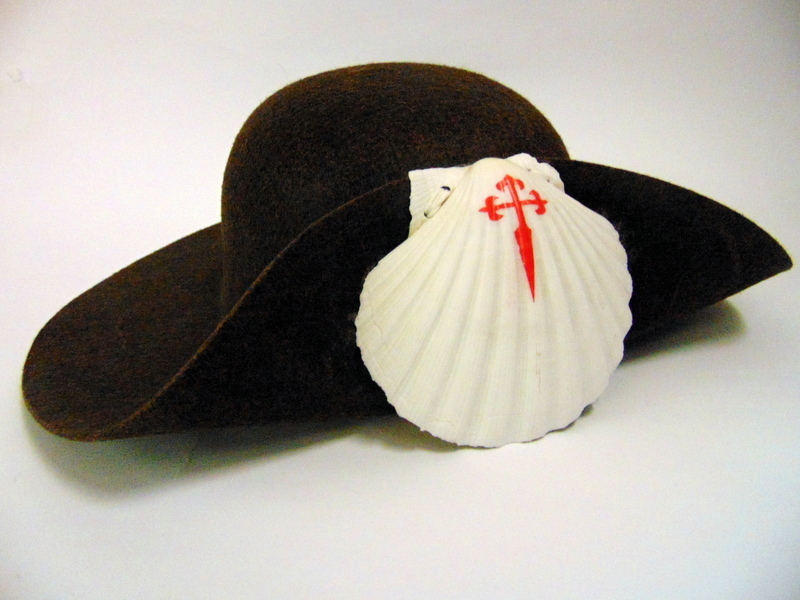 Leaving Santiago, pilgrims attached a special shell to it: Pecten iacobaeus, the symbol of Saint James. Spain, Santiago de Compostela, 21st cent.